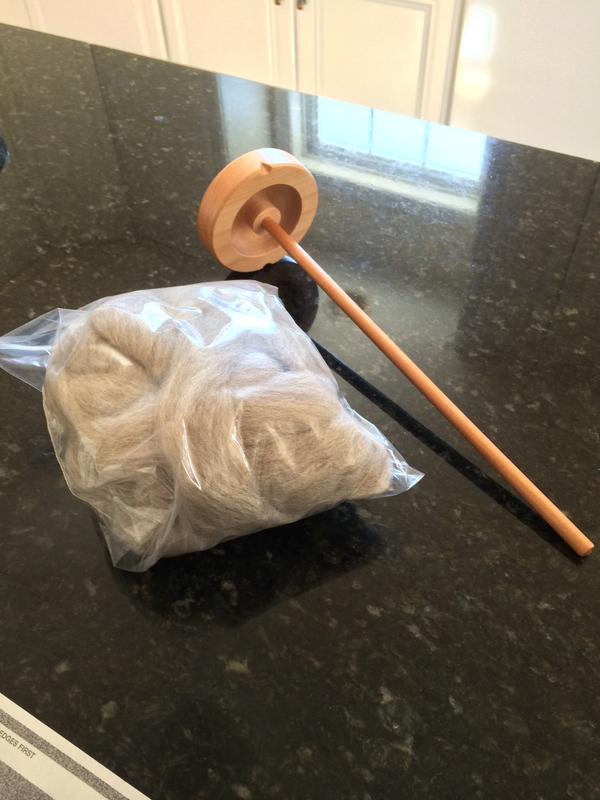 I bought a drop spindle and roving when over the weekend and I could not wait to try out spinning my own yarn. And as predicted, I am completely obsessed and addicted. I followed these tutorials by Megan LaCore on Youtube. I don’t have a long attention span for tutorials and directions so I didn’t watch all of them very carefully, which I should have. 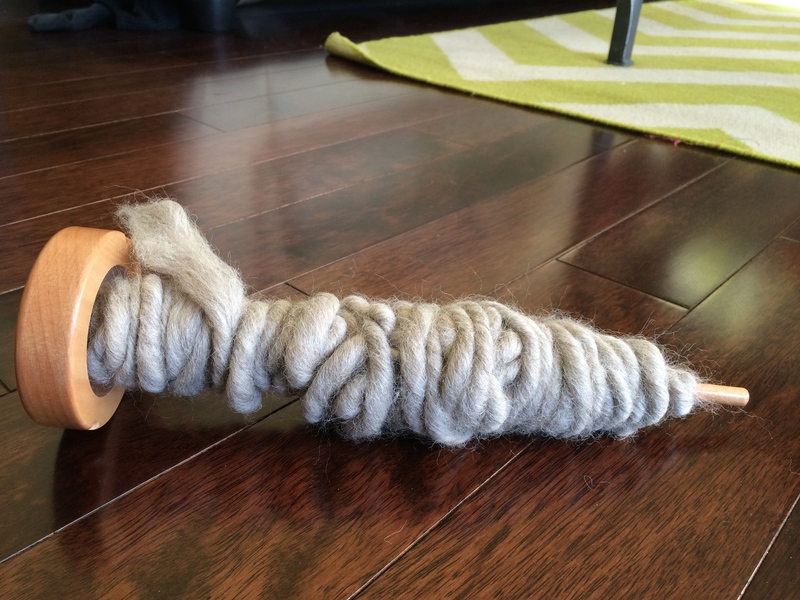 I didn’t realize I needed to draft the roving first, but I figured it out before I got too far along in the process. Here’s the finished un-dyed yarn! It came out chunkier than I expected with some sections more worsted weight. I was afraid of breaking the roving when I was drafting, but I think I could have pulled it farther apart to achieve a thinner yarn. Any tips from experienced drop spindle users? Part two will chronicle my first time dyeing yarn with Koolaid. See you tomorrow!